Oh, how I love polenta! And feta, and mushrooms and tomatoes! 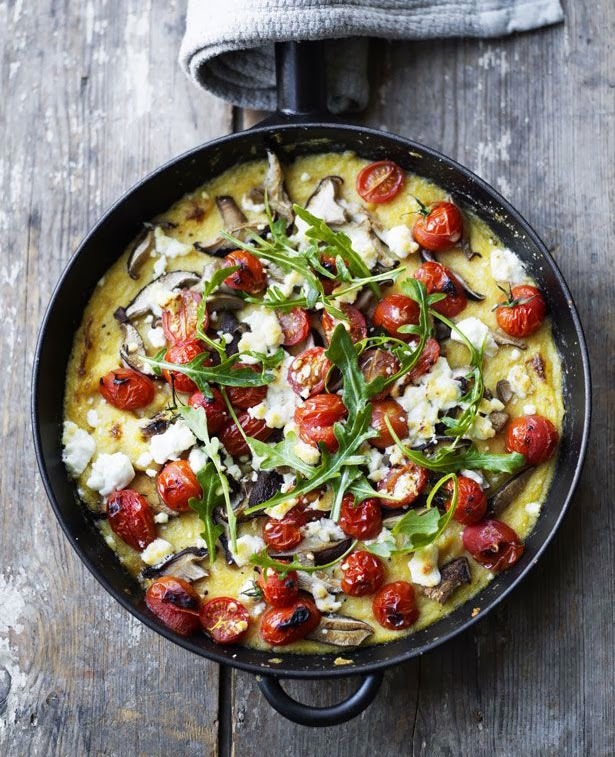 Great recipe idea for Polenta Bake with Feta, Tomato & Mushrooms from Stylist Co UK. I plan to substitute the vegetable broth with low-sodium chicken broth as I like the flavor of the chicken broth better. And, I will most likely finish the dish with a drizzle of balsamic glaze before serving. The recipe is written in grams since it's from the UK. Click here for a link to a wonderful metric conversion calculator from About.com. It's a good link to bookmark and reference when you're in the kitchen. They make it so simple! 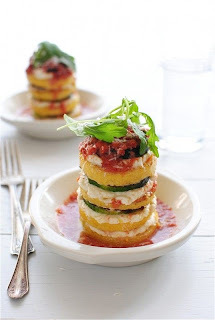 I'm definitely making this polenta recipe this weekend. Click here for the recipe and I hope you enjoy!